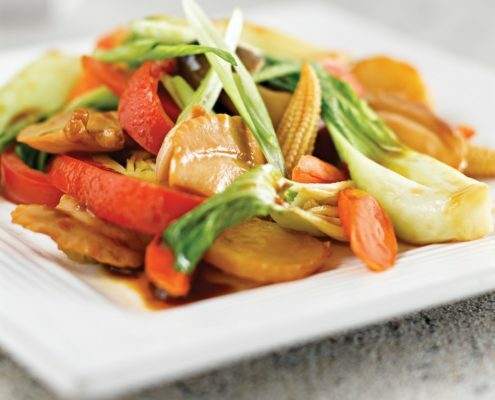 Use our whole ocean clams in this stir-fry loaded with vegetables for an alternative protein option. 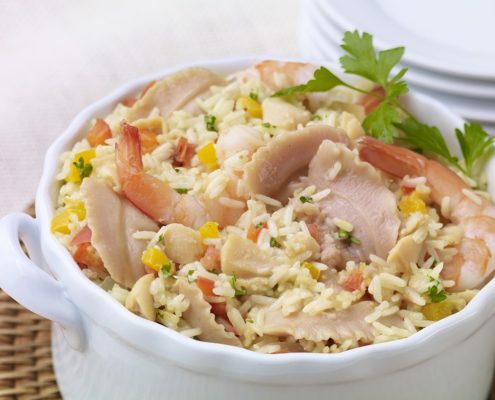 Next time you make your rice pilaf trying cooking the rice in clam juice; it will give it incredible flavor. 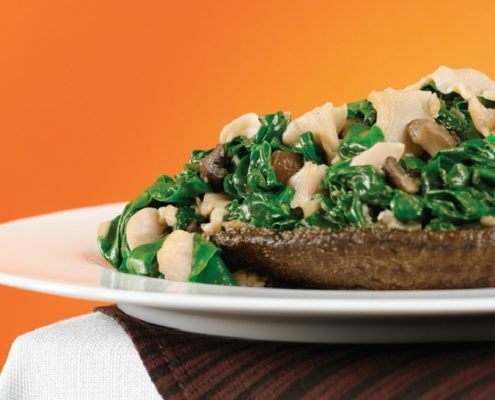 Roasted Portobello’s act as the bowl to hold a delicious blend of clams, garlic, shallots, mushrooms and spinach. This entrée is full of flavor, high in protein and the mushrooms add a meaty texture to the dish. Risotto is an Italian rice dish in which the rice is cooked in broth until it becomes a creamy consistency. 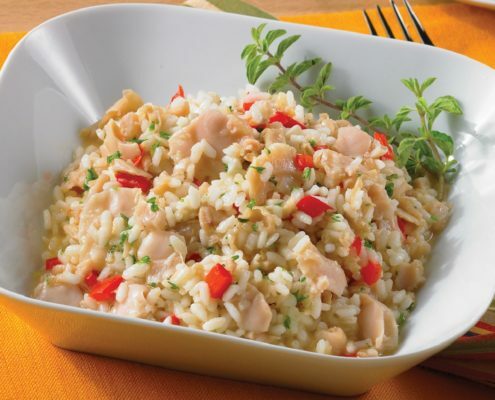 This recipe utilizes the reserved clam juice to create a rich and flavorful risotto. A classic Italian style red clam sauce served over pasta. 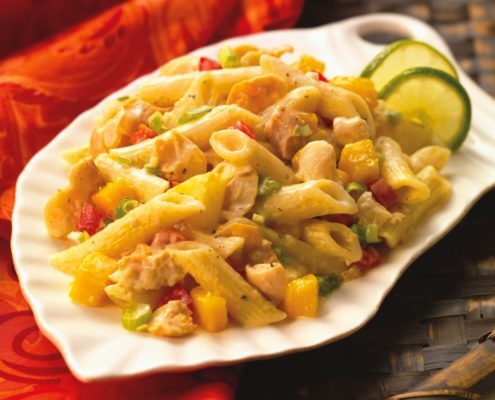 This Caribbean inspired dish is full of Island flavors; pineapples, mango's, jerk seasoning. For the health conscious, the recipe can be altered to use clam juice instead of heavy cream for a low fat version. Paella is a Valencian rice dish that originated in the mid-19th century on the coast of Spain. Here we slowly cook the rice in the concentrated clam juice of the gourmet sea clams and add saffron. Lastly the chopped sea clams, whole ocean clams and shrimp are added to finish off the paella. 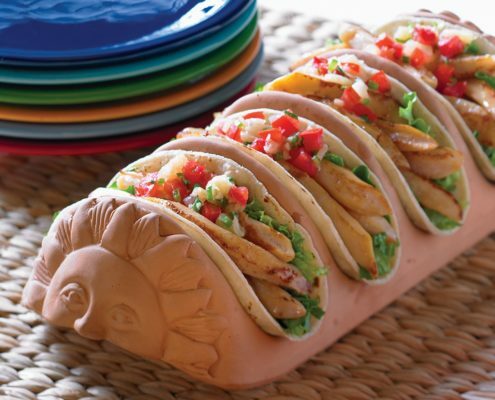 Everybody has had tacos but have they had naked clam tacos? Use our tender hand shucked super clam strips to fill your favorite taco with protein, and then top it off with your signature fillers. These will leave your customers asking for another. 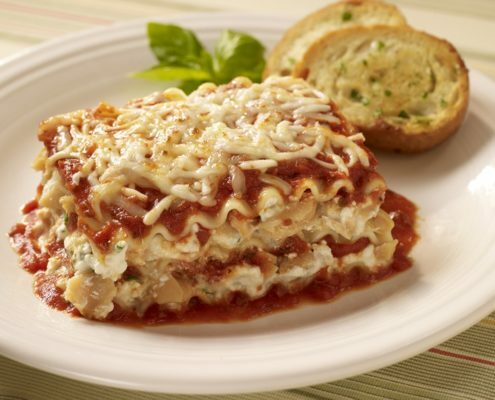 This lasagna is quick to put together, but you wouldn’t know it by the flavor. Just combine the: clams, cheeses, garlic and basil, then layer it with marinara sauce, mozzarella and noodles. Another version of a classic white clam sauce made with our tender whole ocean clams. 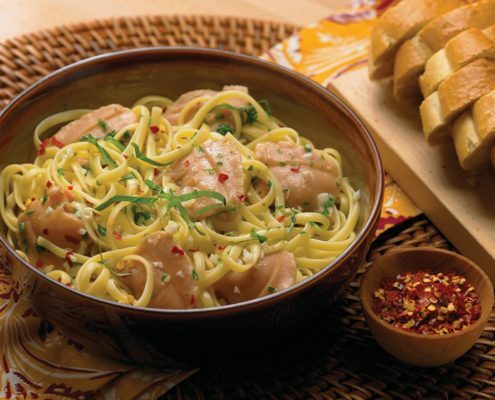 Check out our other clam sauce recipes, we have several variations: Clam Sauce with Basil and Convertible Clam Sauce.